Blac Chyna and Rob Kardashian's baby is due in November, and preparations for the baby's birth are well under way. TMZ reported on Sunday that Chyna will use the same birthing suite that Kim and Kourtney Kardashian did when they gave birth to their children. The fact that the Kardashian family presumably recommended their high-end maternity facilities to their soon-to-be sister-in-law is a promising sign of solidarity and family support after a fairly tumultuous few months between Chyna, Rob, and the rest of the family, as has been well documented on the E! shows Keeping Up With The Kardashians and Rob & Chyna. Chyna is definitely participating in the Kardashian family tradition of sparing no expense, especially when it comes to their kids. The suite is located in Cedars-Sinai Medical Center in LA, and it reportedly costs $4000 a night. The maternity suites include three beds, two baths, a lounge area for guests, and even complimentary bathrobes. Chyna is scheduled for a C-section in the upcoming week, and it definitely looks like she'll be giving birth in style and comfort. The birth will be filmed for an upcoming E! special, so we'll probably be able to see the suite for ourselves before long. We know Chyna and Rob's first baby will be a girl, but the couple haven't revealed what they will name the baby. The rest of the Kardashians have shown their support for the soon-to-be newest member of their family before welcoming Chyna into their family's birthing suite. Kim put Rob through "baby boot camp" on Rob and Chyna, and the family has demonstrated their enthusiasm for the future child on social media. However, it hasn't always been smooth sailing between the Kardashians and Chyna. 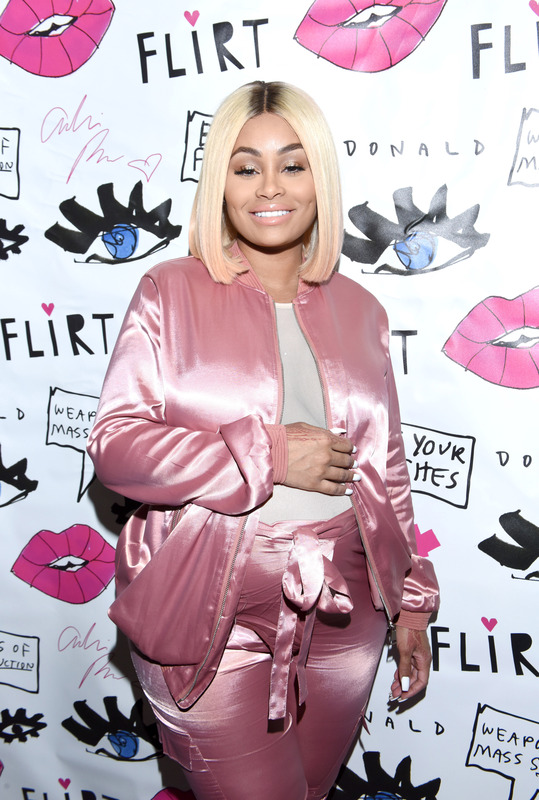 After all, neither Rob nor Chyna informed the rest of the Kardashians of their engagement, and Rob has frequently iced out the rest of his family over the course of his relationship with Chyna. Chyna and Rob haven't always had the smoothest relationship during her pregnancy, either. Rob and Chyna has revealed that the couple has spent a good amount of Chyna's pregnancy living apart, and Rob has on more than one occasion not responded to Chyna's messages for days at a time. Yet while a breakup has been rumored on more than one occasion, the parents-to-be appear to be having a good stretch in their relationship. Chyna and her son King even dressed as Rob for Halloween, and Rob and Chyna wore a pretty hilarious The Purge costume together. While I'm sure there is still a bit of tension, it's nice to see a sign like this that the Kardashians are fully supporting Chyna, Rob, and their upcoming baby. It must be comforting for Chyna to know that she'll give birth in a very nice environment, and that the Kardashians will be (at least metaphorically) by her side.